What is it that we love about the French? Why is it that we associate them with sensual allure, subtle hints of a story not yet told in its entirety? When I was young and for the first time ever heard the song “Je taime moi non plus” I thought to myself; “God, .. life must hold within itself such a riddle that a lifetime simply wouldn't be enough to solve it” Such was the pontifications of a mere child, but now a fully grown adult, I still wonder.. 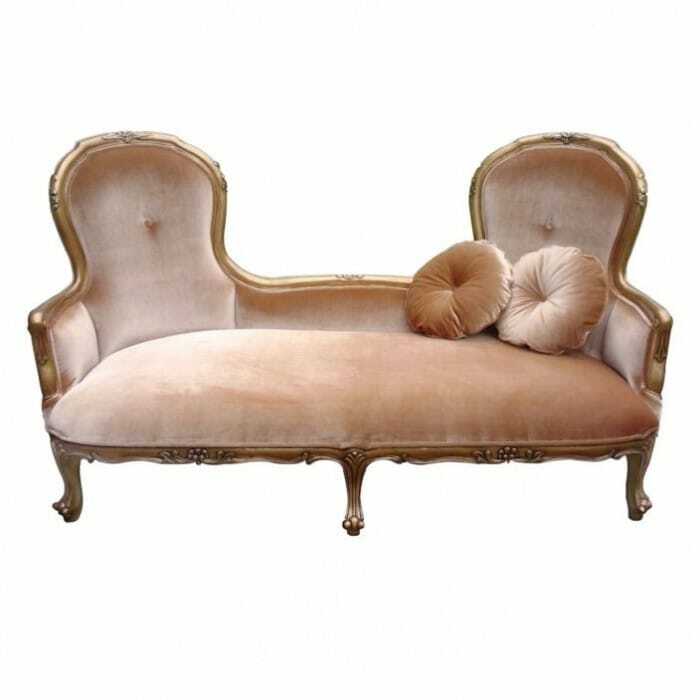 The style of design simply referred to as; “French Furniture” is very much like the concept we as children got an inkling of but never investigated further, - but after rummaging through several books on the topic, was revealed an entire world of modernised baroque. The voluptuous patterns and shapes of table legs, door handles, bed frames and mirror shapes speaks of something far more decadent than the anglophone culture and aesthetics exemplifies. Rather than the straight autocratic symmetry of northern Europe, we, when it comes to French sensitivity have come to familiarise ourselves with the less straight forward, more lyrical and lavishly extravagant sense for the finer things in life so far. The style of design that I'm describing has obviously gone through a metamorphosis since the era of the Baroque. We can now, indeed find straighter lines in the design of for example a chest of drawers, or a chair, or table, - but what is done to bring it back to its origins is often a swift touch of pale pink, or washed out green, a mirrored surface or adorn the item with a white vase filled with a bunch of fresh,a yellow tulips. What the French understand is casual chic so far. Their aesthetics is not bothered with long proclamations of your sense of tidiness and expensive taste, but rather stresses your awareness of the constantly fluid, the always in motion and interchangeable quality of life, - in their eye for interior design lie the passion for, art, literature, music and philosophy and so the French home becomes a complete artwork, meeting in a harmonious blend gently stroking all your sensibilities, together come, sound, colour and pattern to a point where you can almost sense a flavour, - that much of a sensual experience is the French design know as, French Furniture. Getting the French look is as casual as it is tricky to get, just right. For a first time french I'd recommend to begin the adventure by purchasing a simple dressing table, put it in your bedroom and give it your spirit through letting your jewellery casually rest on its surface, - forget the neatly tucked away style of the anglophone, allow some extravagance to shine through the blinds and let the cold winter sun kiss your pearls with a ray of silent northern light so far. All in all, what the French value is your sense of the casual chic, - your way of combining the lavish with the everyday. The extravagance of everyday, the French way. 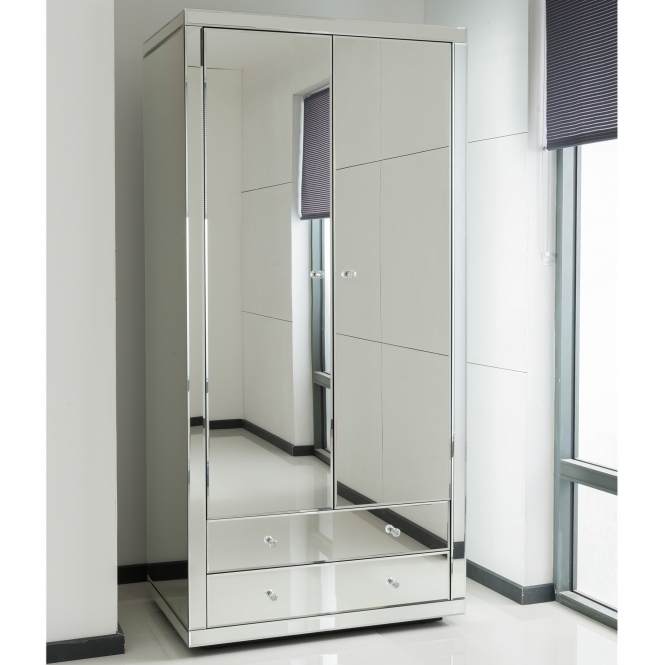 Homes Direct 365`s Mirrored furniture, seemingly the most narcissistic item of the home, second after the actual mirror, its functions are multi-layered, and its purpose little to do with that of a personal mirror. What comes as a great surprise to many people is the way in which it reflects the initials spaciousness in a room through amplifying the light and colours found throughout the room. In a space not blessed with a considerable amount of windows, a piece of mirrored furniture will work with what you've got and reflect the light coming from whatever facility available, in such a way that one window can become two, through a mirrored reflection. Let the magic happen through a simple living room table, a small bed room cabinet, a dresser or even a room divider. 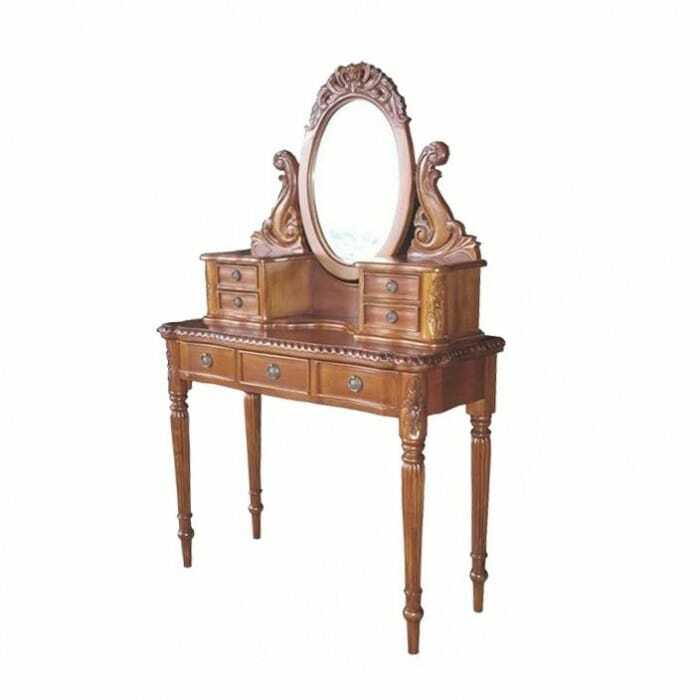 A mirrored furniture item takes one back to the aesthetics of the southern regions of Europe, where it originates from, as a regularly featuring piece in an abode of the Roman empire. It would be custom to adorn a piece with mosaic squares of bright Mediterranean colours, something that is seen more and more, as a fun and bold addition to the mirrored pieces available in well-assorted shops. 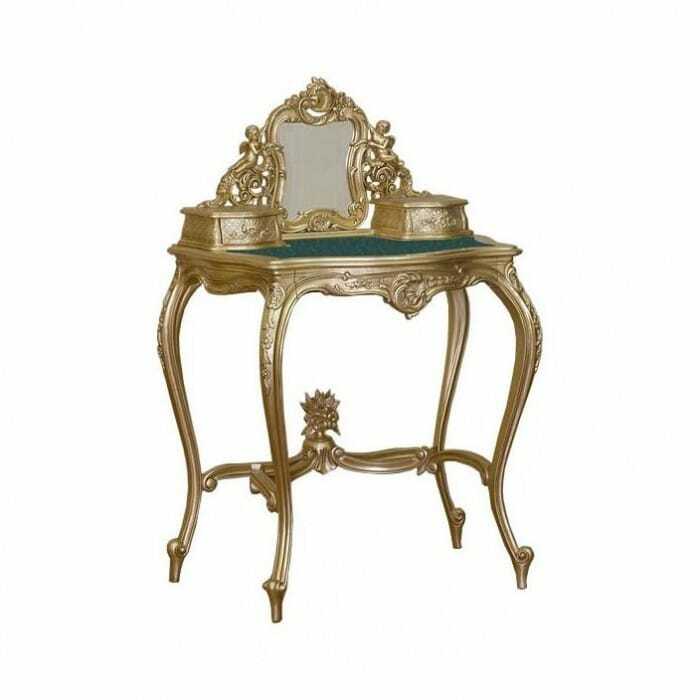 The classic mirrored dressing table takes one back to the epoch of romanticism, where the sensual image of the Jane Austin like woman who sits lingering by her table, braiding her hair or removing the days make up, and on the mirrored table arranging all the beautiful little boxes of gold and silver containing, powder, jewellery, pearls and in some cases rose perfume, standing all amidst a bouquet of wild roses given to her by a secret lover. The mirrored piece reflects a classic femininity, found in great literature so far. Simultaneously this phenomenon has a very modern allure in the way in which it can combine the old and the new. A minimalist monochrome and strictly symmetrical item can be united with a mirrored surface and in such a way enhance the robotic as if to say, digital era we inhabit at once echoing a distant memory of the past. Don't be afraid of adding the slick reflection of times past to a a simple IKEA table. As a result of contemporary architecture we tend to see more and more, how end of single buildings meet the brutalist explosion that is the hallmark of the 20th and 21st century in a carnival of anachronism. Why not reflect it on a personal scale, in your bedroom or living room? The mirrored item of furniture works on many levels, as you might enjoy the warm milieu of the adriatic coast, far from the symmetry of europe a blend of a cream coloured wooden chest of drawers layered with a mirrored surface and you will find yourself on Isadora Duncan's favourite spot, the Mediterranean island of Opatja on the coast of Croatia. The world is your room, let it take you where you thrive and your living space the best reflection of you so far. Why should you use Shabby Chic as your theme? Homes Direct 365`s staff have a lot of our own furniture at home, having it available at the office makes for some very well informed furniture selections for home. We love the look and design of our stock, being partly biased its so unique it just stands out. The design elements of shabby chic speak volumes in terms of character, style and design. The words shabby chic couture have been said in tandem and I think it adds more to the term. When someone says couture I immediately associate the word with high tea and fancy dresses and style lots of style, so using shabby chic couture as a phrase resonates with me. I like to think that the history of the furniture goes back a long way, each item has its own story and some are shown in the patterns and shown where parts are worn away. Even if the furniture is a reasonably new piece it still presents as if it has been in use for many years with the rustic appearance and mismatched fit with the other designs. We have had customers come to the store and instantly fall in love with the designs, they associate the furniture with a time and place. I can see why when you look at some of the designs you can really be transported back to a holiday destination in Paris or the time you stayed at the Monte Carlo. It does happen people come and view the furniture and you can see them being taken back to a moment when they were somewhere special and the design has inspired that memory so they buy it for the associated memory. History rich furniture designed to showcase the moods of the designer.Hearing the term shabby chic you may think the 60;s and 70;s bright flower design prints and long blonde hair. History rich natural textures cover the materials used to create the furniture. associating the piece with a time and place and not with an industrial collection of furniture with fancy paint designs. Using shabby chic for your design interior and exterior you can assemble any collection style you associate with, the gift of shabby chic is it is about your feelings and how you interpret the design. 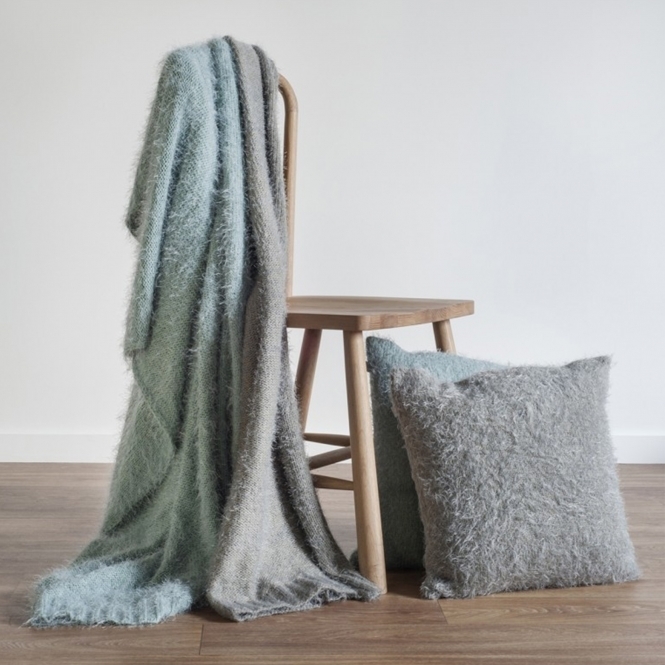 Feeling like you want to travel create a room inspired by the ambience of a Scottish cottage or an Belgian bordeaux. Allow yourself some time to visualise your surroundings and reflect on uplifting surroundings. HD365`s shabby chic range takes inspiration from simplicity, style and history, shabby chic has a place of its own among popular designs. 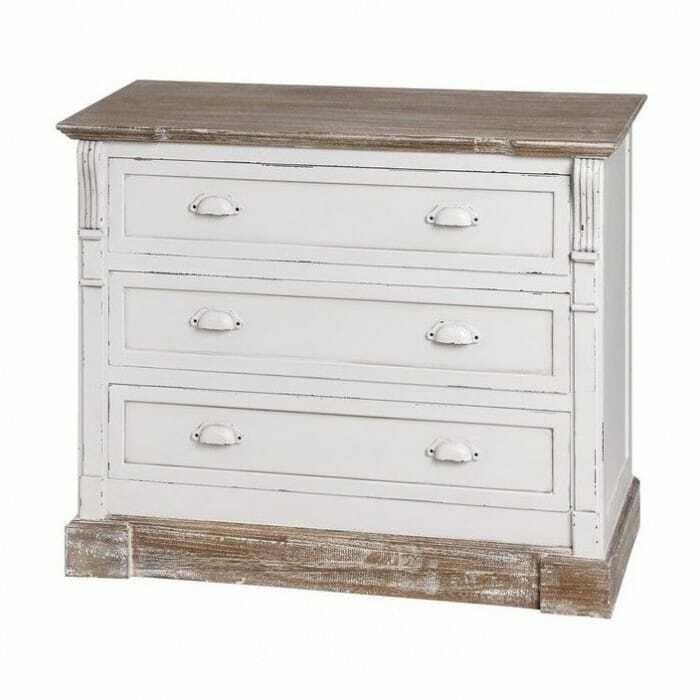 So popular that furniture giant IKEA has recently started rolling out more and more shabby chic inspired furniture, we think they see the market for a specific need when it comes to unique history rich furniture and the shabby chic style is in demand. Taking all of this into consideration, is shabby chic furniture for you? only you can say. Standard modern decor has its place but can your furniture be more than just a generic item that you use and why not something that you can enjoy using. When decorating your home, one sure thing which comes to mind, with regards to furniture style is, French furniture. 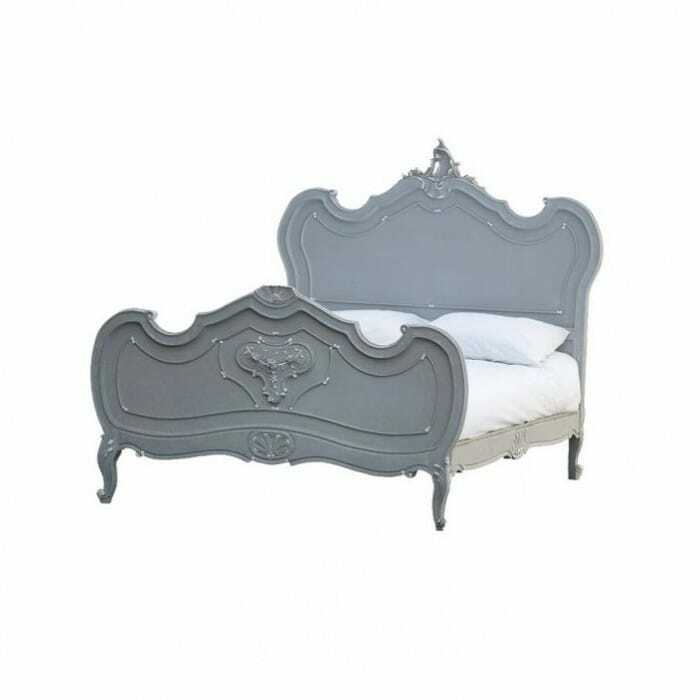 The choice of Homes Direct 365`s French furniture as primal furniture style goes back again towards the seventeenth century, possibly beforehand. 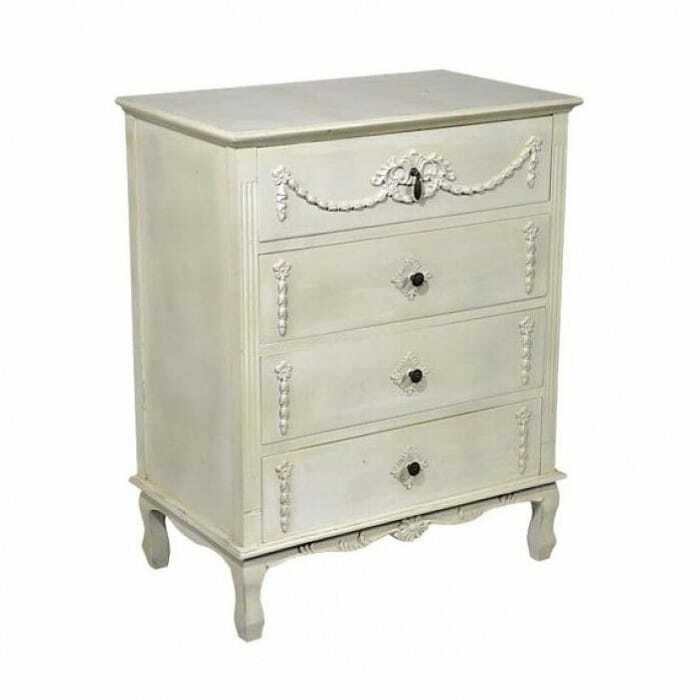 You can truly find a lot of restored "shabby chic" furniture outline styles that touched base in the seventeenth, eighteenth and nineteenth century. However, one thing should be kept in mind, you don’t have to be French to have French furniture in your home, it all depends upon your mood and taste. But, rest assured investing in French furniture will be a healthy experience for your home. 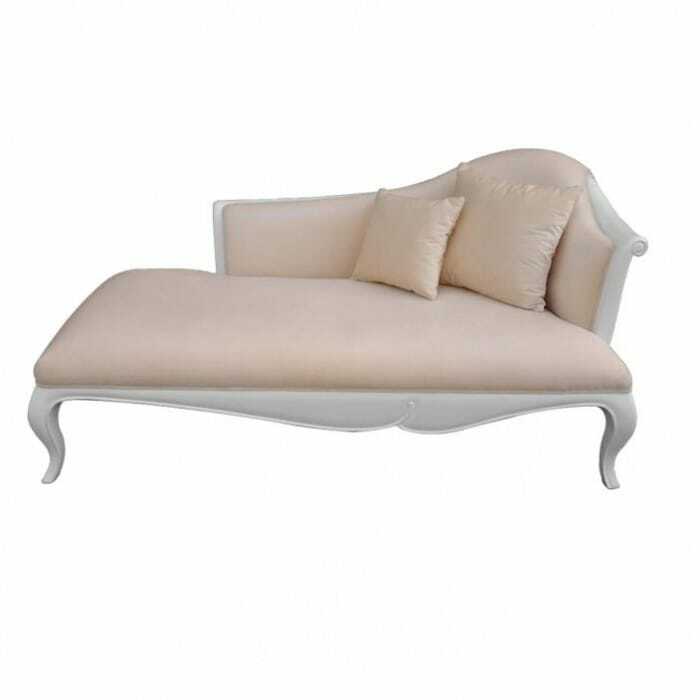 French Antique furniture things are re upholstered to achieve a dainty however with a sophisticated and refined look to them. The French quintessential furniture effect is created of wood. 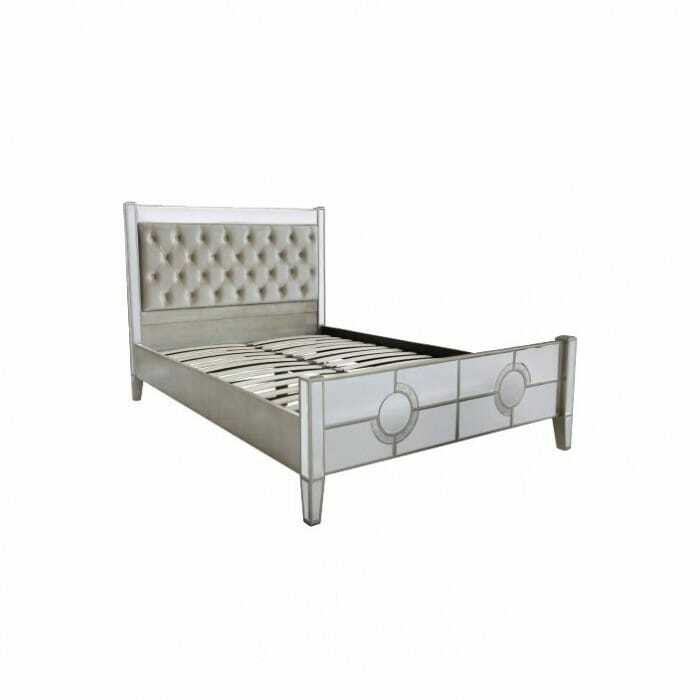 It consists of various furniture artefacts many of which are a very popular choice of furniture for bedrooms and your living area. 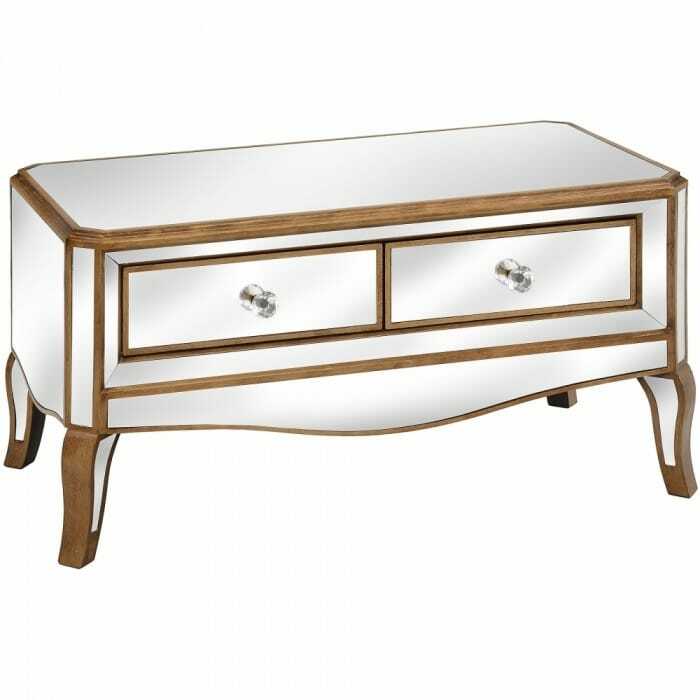 In this furniture style, the item might be a reflected bedside table, a dressing table, perspective table or maybe a dining table. Wood is almost always coordinated in it. This truly is not just a simple sort of wood. French-style furniture for the most part tends to make use of sturdy hardwood which will last for a long time. 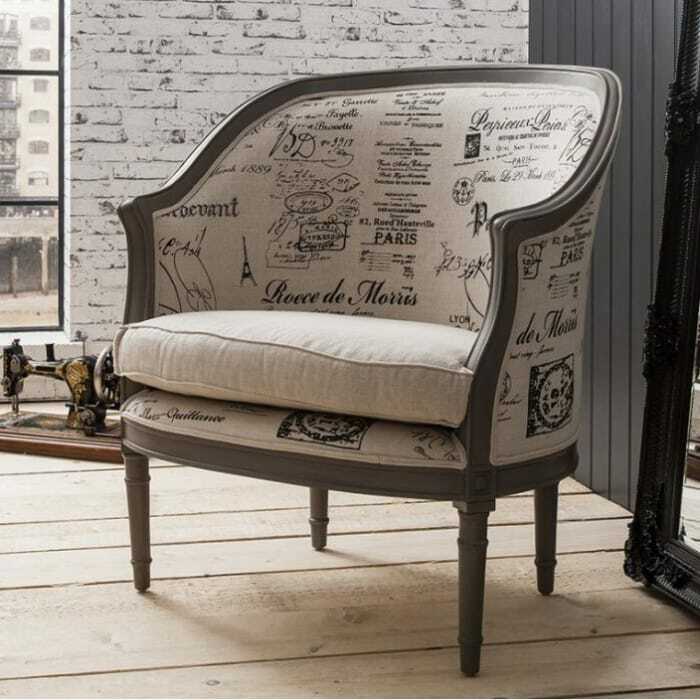 You can never go wrong trusting French furniture as a furniture of choice for decorating your home. 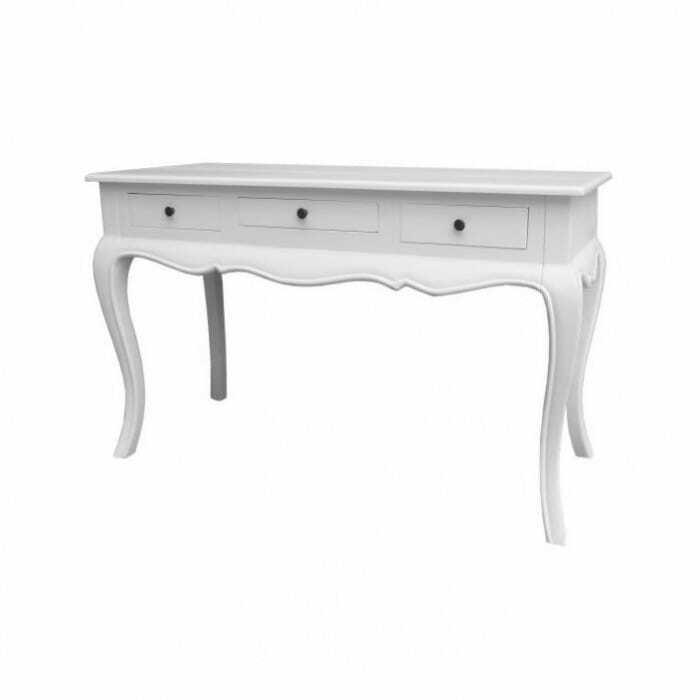 French country furniture can likewise be portrayed by its complex bends. For instance, a parlor couch may have wood outline with unpredictable bends on its armrest, backrest and feet. The standard French piece of furniture isn't utilitarian in its design. It for the most part figures out how to awe with its mind boggling, decorated particulars. Also, the upholstery is made to rouse wonderment. Manufacturers use material supplies with emblazoned prints or with smooth prints intended to give the effect of extravagance and flourishing. 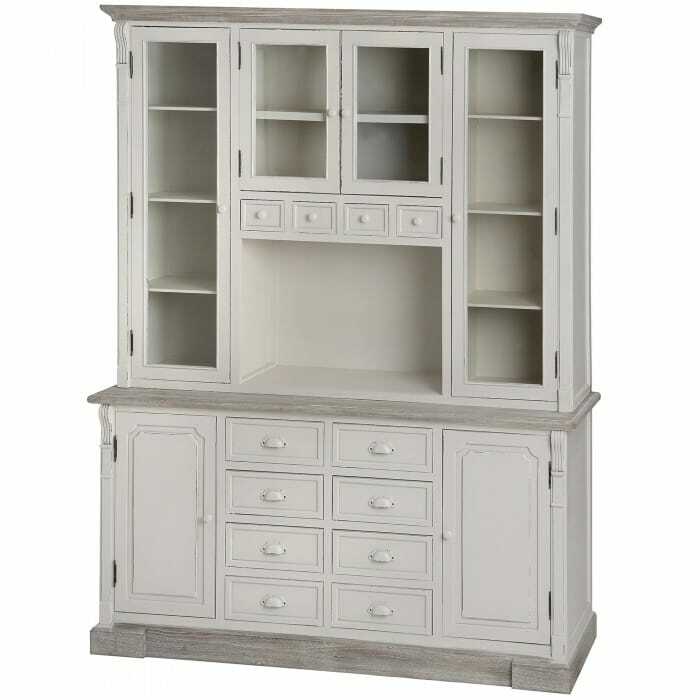 The great thing about French country furniture is the way that it is to a great degree easy to work with. On the occasions you don't have any outline motivation, quite recently investigating the sort of these furniture sets can give you an idea on how you might want your space to wind up being distinctly designed. Furthermore, they're easy to be incorporated into the home. You'll have an easy time hunting down drapes, perspective tables, glass vases or blossoms which will work together with your table. In the event you choose an antique bedside table, you'll find it easy to find an indistinguishable sleeping pad or bedding disperse. The French sort of furniture goes in any space. Antique bedside tables go well inside your bed room of course. That sentimental looking long eating table goes so well inside your traditional eating space environment. 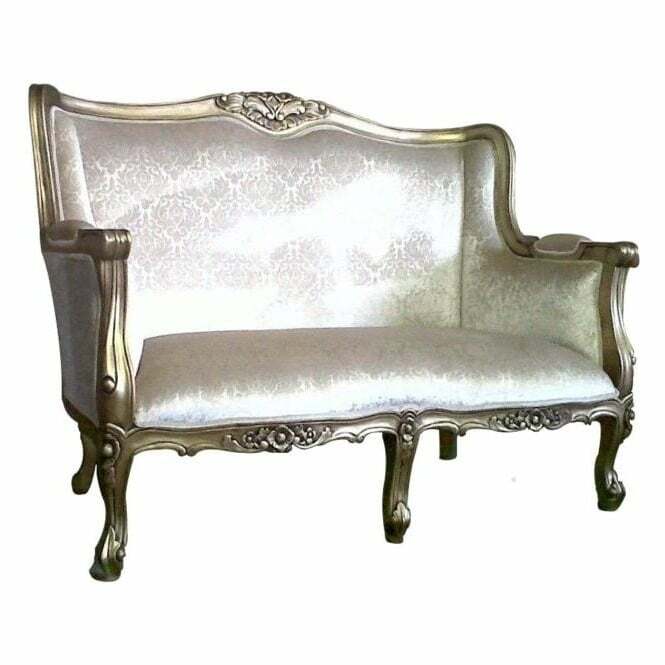 You may likewise find a combination of parlor sofas and footrests inspired by French furniture. It's easy to create a unique idea inside your whole home. Homes Direct 365 French Furniture might be custom-made for a wide range of furniture, and in this way can coordinate into any from the rooms inside your home without trouble. 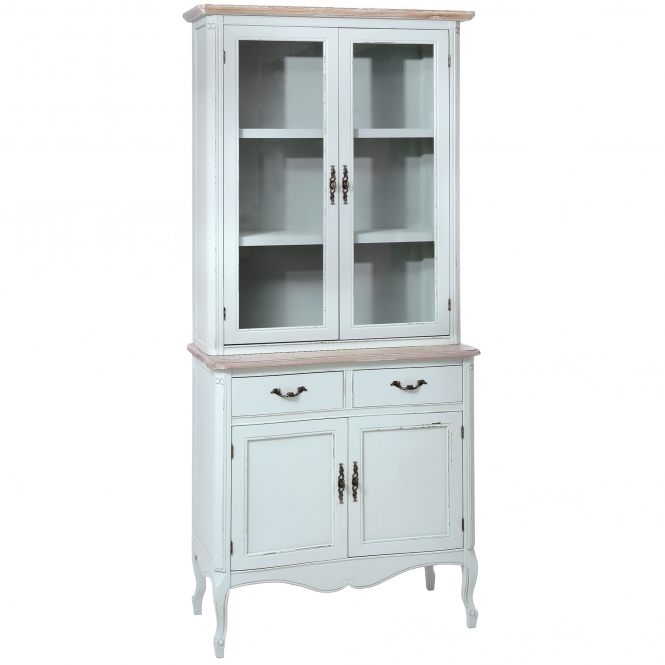 Fundamentally, French antique style furniture is ideal for each traditional and contemporary home. They're undemanding, they summon a sentiment quietness and bid inside the space that can't be refined by considerably more contemporary styles of furniture. They're also down to earth, intense, and beautiful, the consequences of numerous times of refinement. Bunches of people may assume this sort of furniture seems much better inside a young lady's space or maybe a home possessed by a woman. 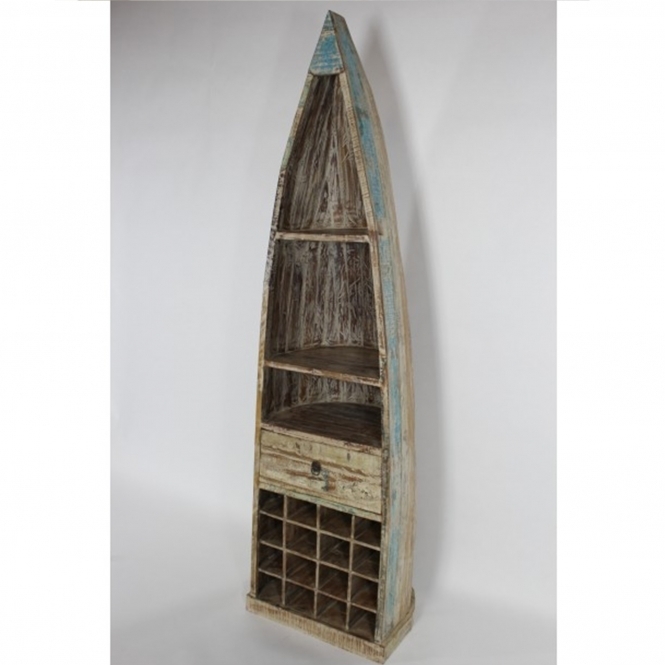 Be that as it may, this furniture can fit any gender and its style is truly amazingly versatile. Simply for its darker shades of wood and texture and furthermore you could make it work inside a space for men. To summarise what shabby chic is, is to take furniture or furnishings and style them in a way that represents a style from an older time. 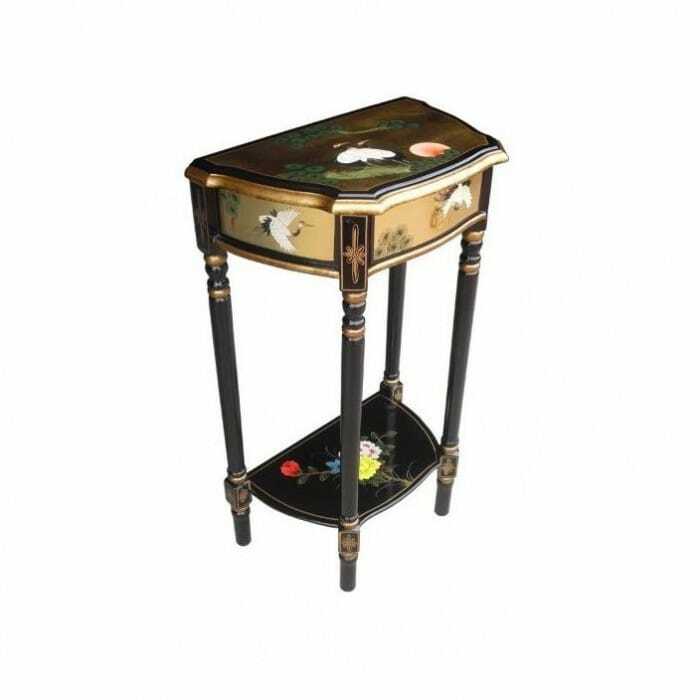 making items appear dated by the way they are painted or edged to appear they were from a stylish era that was left behind by modern design. Stylists use this popular theme of interior decorating by arranging mismatched furniture to create a theme that reflects a collective of past styles blended into what is referred to as the shabby chic. What kind of people are into shabby chic furniture? A recent survey of over 80,000 people shows that the most interest in the term “shabby chic” and in furniture styled with the shabby chic are people located in the United States, Canada, Australia, New Zealand, Sweden, South Africa and from United Kingdom. The people that partook in the survey were split into 80% female and 20% male. The survey found that for females the average age was between 19 and 34 and for the males it was between 30 and 41 years of age. The interest was in specific styles and of images of furniture that was all about the shabby chic image. Having looked at the results and knowing our industry we see it all the time, people want something that is alternative to the "IKEA" look of generic modern furniture, having your house and home look a certain way just adds to the reason that it is your home. Our main clientele want a home that is unique to their tastes and is inviting and fun, shabby chic is stylish but not taking itself to serious. Do we look at this as a passing trend or as an alternative style that people can appreciate? 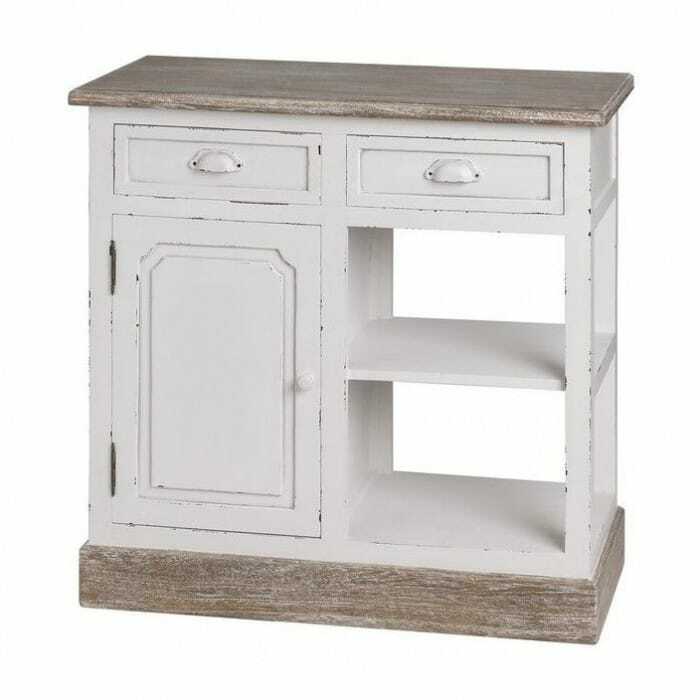 we believe our customers want something stylish that shows it has a story, with shabby chic design you can mix and match different styles to create a story behind your home interior, and not just home owners we have restaurant owners, business owners, apartment complexes and anyone that is looking to add some variety to their furniture selection. How popular is it to own furniture that identifies as shabby chic? its not so much about impressing people but telling your own story with your collection. You can showcase who you are or what your business is about with the way you choose your furniture. We also see customers use the furniture designs we offer for all kinds of uses, a popular use is in trendy hair and beauty salon's that want to express their own unique style. "Homes Direct 365" believe that Shabby Chic as a style is here to stay and represents so many people in so many ways. 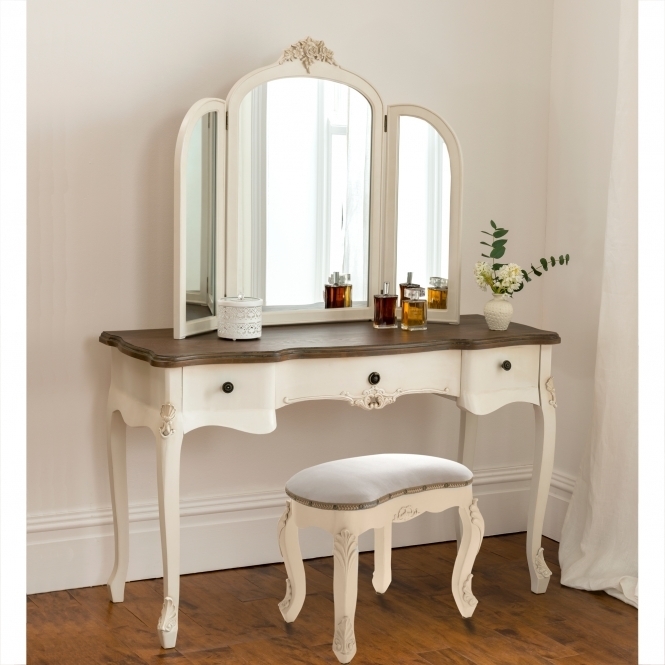 Article Source Here: Shabby Chic Furniture Fad or Trend is it here to Stay? 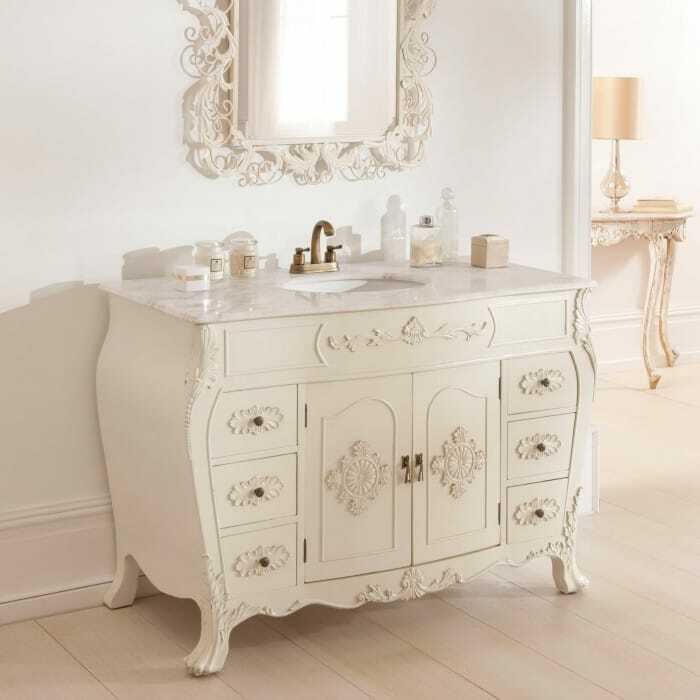 via Blogger Shabby Chic Furniture Fad or Trend is it here to Stay? 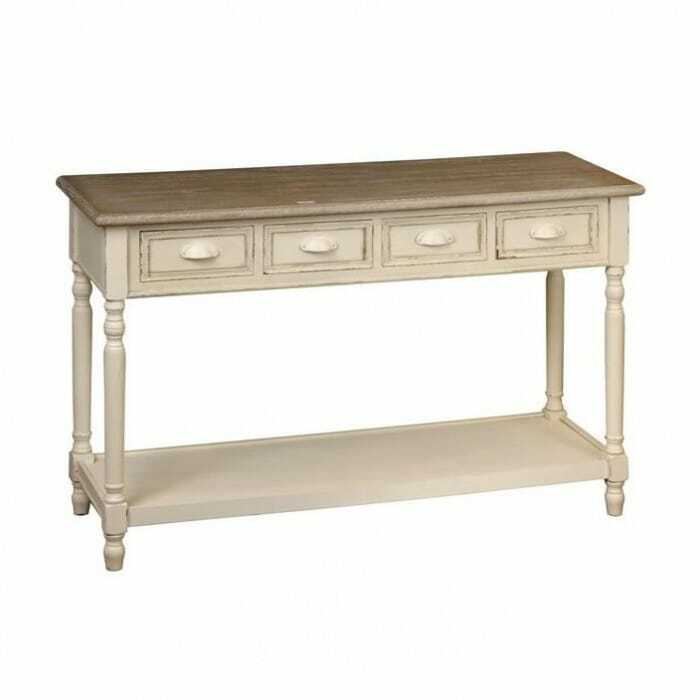 One of the crazes that are taking the world by storm is shabby chic furniture which Homes Direct365 are proud to be a part of. Fans of the contemporary look are taking to shabby chic like ducks take to water. When visiting a home that has this kind of look you will immediately feel at ease and welcome. The concept embraces mixing old tatty furniture and accessories with new furniture and the results are quite spectacular. Take shiny silver and blend it with vintage lacing and you will get a look in the home that is to die beautifully warm and inviting. Rachel Ashwell started this new style way back in 1989. She got the idea when she was selling refurbished furniture that she bought from the flea market. She sold this along with washable slipcovers from the boutique she owned in California. Today, decorators around the world have annexed this contemporary style and homeowners worldwide now have this kind of look in their homes. Contemporary look is created out of second hand furniture. 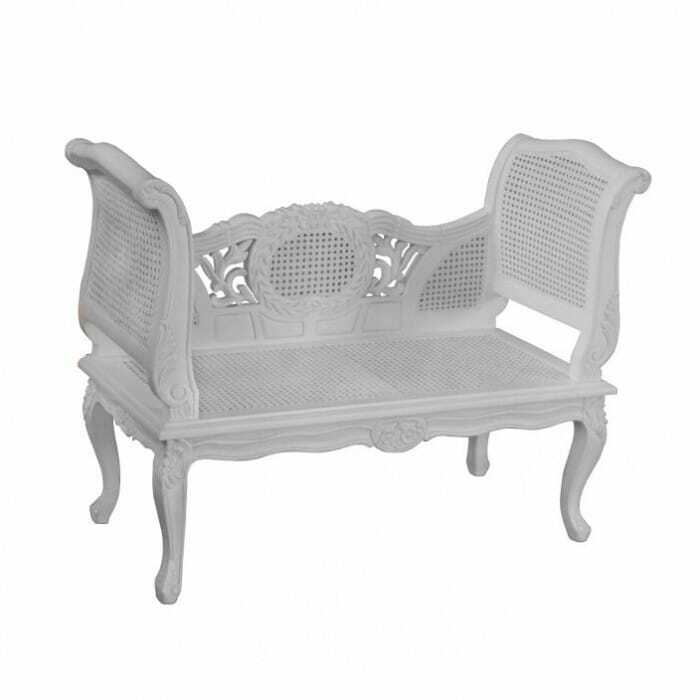 Sanding and repainting furniture is part of the process of creating shabby chic furniture. For this look to be effective, one would use light pale colours. Pastels are very popular with this furniture and decorations. Sometimes light shades of blue, green and pink will work quite nicely. The best type of furniture to use would be plain, minimal and intricate. Stick to this for best results. Unlike with other paint jobs, you do not need to sand right through the previous paint layer. Only the parts that look best painted fully in the new colour are sanded through. Once the sanding is completed, the item of furniture is painted in the new colour. The colour scheme is quite different to conventional decorating. The colours are softer, faded and pale. Checks, stripes, and floral go a long way in making the home appear inviting to visitors. It is less complicated to use one colour and then use different fabrics with this in the same colour. Be creative with your use of furniture. The idea is to choose selected items of furniture to use for a reason other than its intended use. Refinished wooden boxes could be used as tables to stack books, photographs or flowers or similar displays. A straight-backed whitewashed chair with a round seat could be put in a corner of a room with a shiny vase with fresh flowers on the seat. Old doors, wrought iron gates or wooden tabletops could form the headboard in your bedroom. Floral fabrics, gingham, blue chintz could be used to decorate the material used for the headboard. If you cannot afford to upholster the entire sofa then make slipcovers with floral to cover the sofa. Decorate the walls with antique looking paintings that are of flowers, fruit or landscapes. Buy some antique picture frames for the family photographs. The wooden table that you made out of the wooden box is where you could put family photographs and or flowers in a vase. 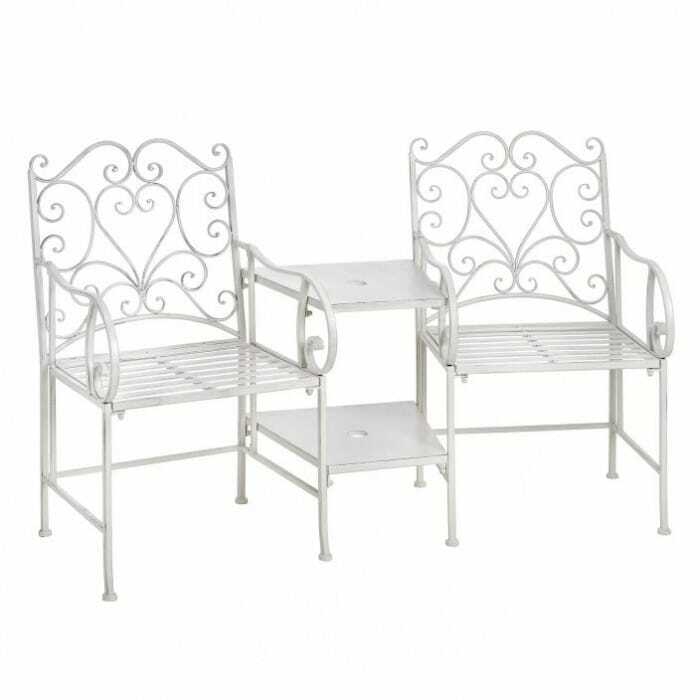 Wrought iron garden furniture can be placed in the living room. 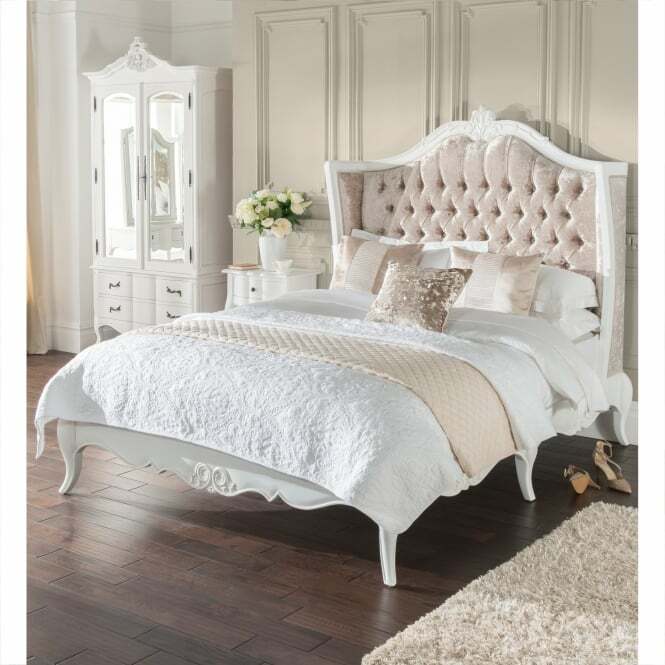 -Homes Direct 365- sell Shabby chic furniture and it can be bought off and online and they also sell all the other accessories that you would need to make your home really look special. 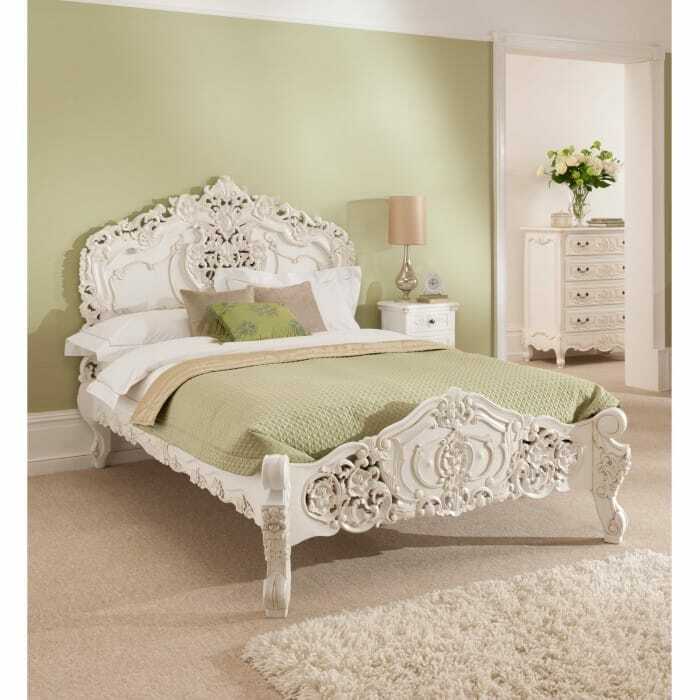 You will also be able to get shabby chic bedroom furniture online or offline. Homes are incomplete without appealing and decent furniture. Modern day home decor is nothing like the old days. Everyone wants their homes to look beautiful and different. Innovative interior designs are getting popular every day. People are always looking for new ideas for their home interiors. 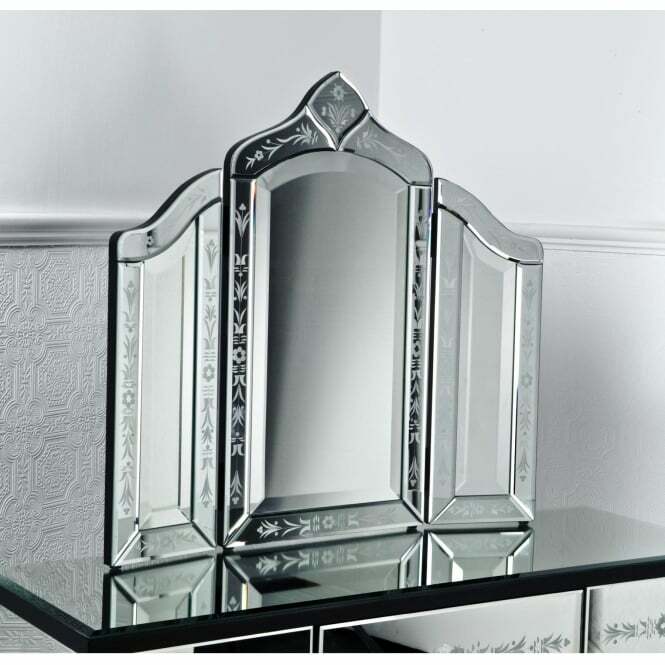 Mirrored furniture is currently one of the bestselling products. Past is the time when only dressers needed mirrors, today mirrored furniture can change the way your home looks, be it your bedrooms, living rooms, dining areas, and even kitchens. These ideas are so irresistible, that one always end up getting something new to enhance their interior designs. Wall mirrors are never out of fashion. It gives your home a very sophisticated look. These mirrors are found in different varieties. 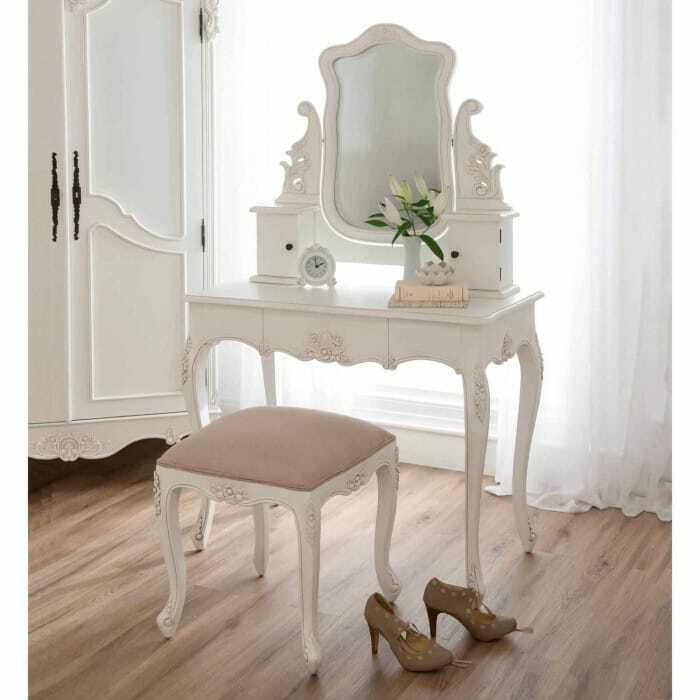 There are mirrors with embellishments, wooden and metal frames as well as freestanding floor mirrors. 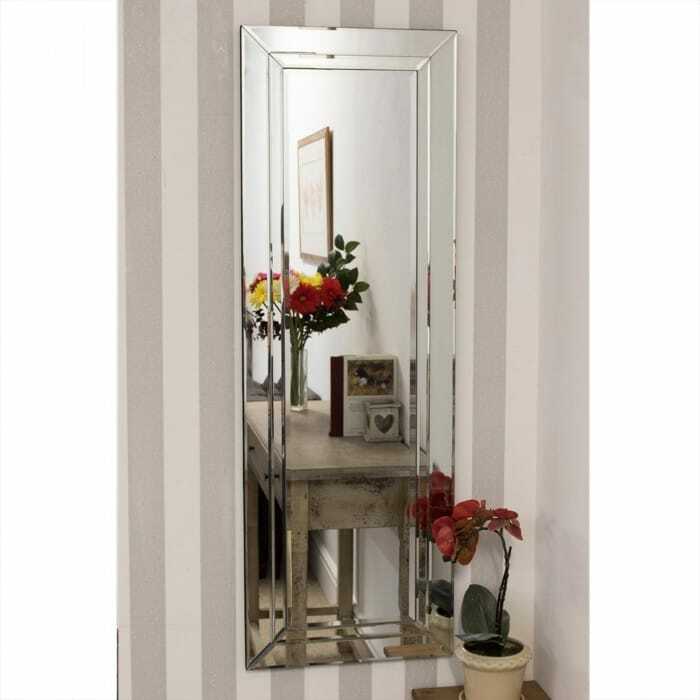 Such mirrors could entirely turn around the look of your staircases and halls, even your living rooms and bedrooms. Bedrooms are very close to our heart. 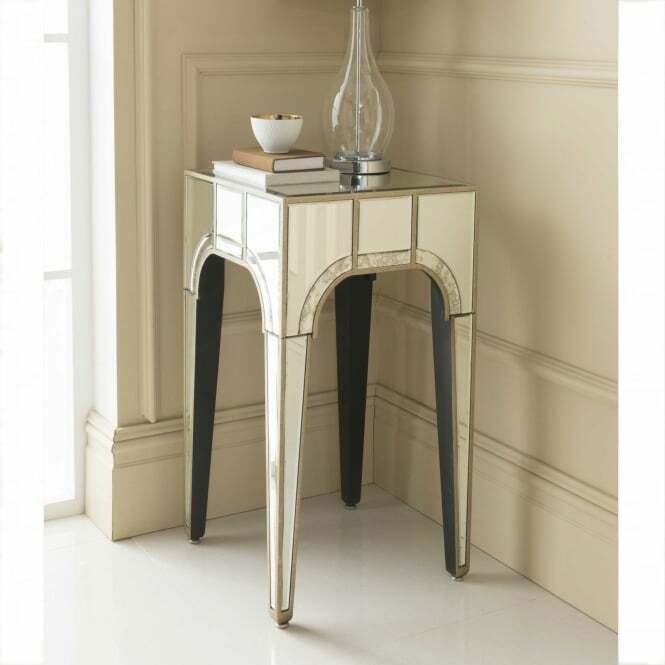 Mirrored furniture could depict a very glamorous look of your bedrooms. Curved, tinted and coloured mirrors give a refreshing and new way to your dressers, drawers and wardrobes. 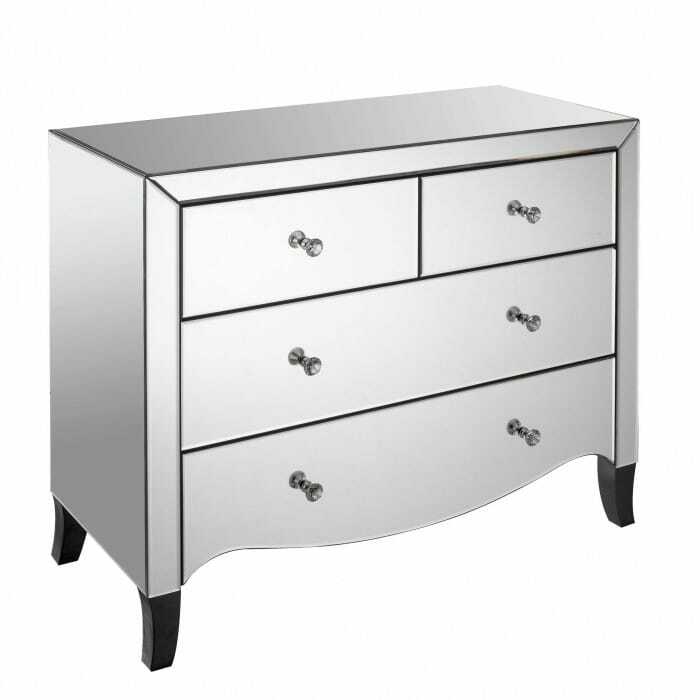 Mirrored bedside cabinets are also one of the most freshest and impressive ideas when it comes to designing the interior of your bedrooms. Coffee tables could impress your guests and be a true display of your aesthetic sense. Well, there are coffee tables that have floral patterns and prints, which could certainly add a glitter to your home. Even if you’re not a coffee lover, there are mirrored cocktail tables in the market as well. Serve whatever you like, but your furniture will be remarkable. Your relatives and close friends might like to spend most of your time in your TV lounge. Especially those with kids prefer staying wherever there’s TV. Good news is, TV stands are now innovative and trendy. 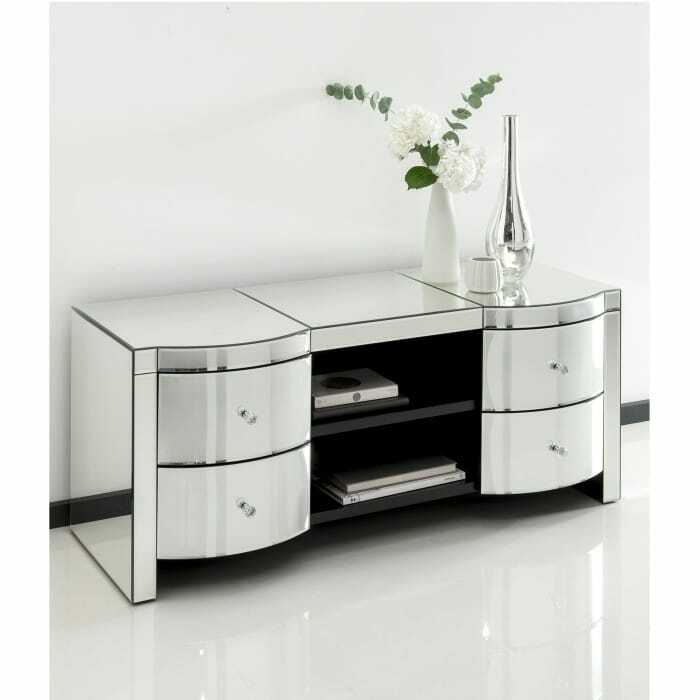 Tinted and plain mirrored TV stands look very sleek and stylish in your homes. Mirrored dining tables are definitely not new, yet there are tables with new designs. There are even chairs with mirrored backs. Tinted dining sets with wooden panels are quite in the trend these days. Mirrored vintage furniture is very desirable. It gives a classy look to your interior design. Hollywood movies have depicted such furniture in some of the most classic masterpieces. And we all get tempted when we see something on the silver screen. 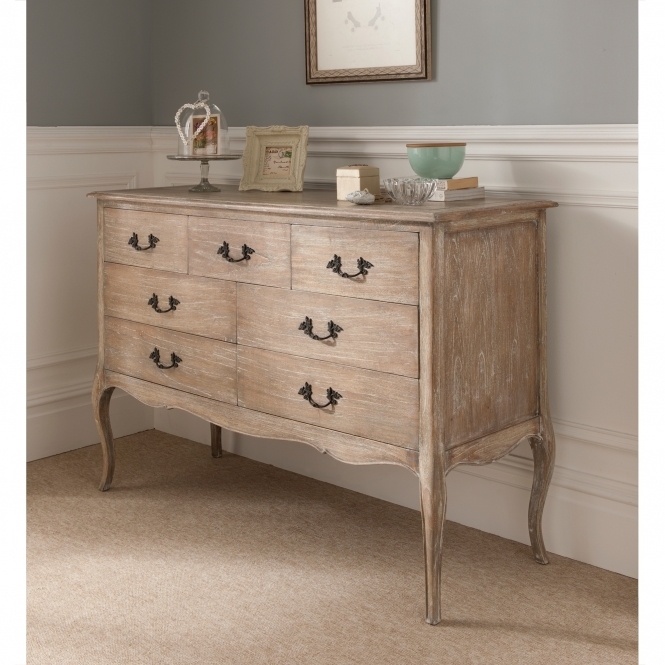 If you have a liking for antique styled furniture, you’re surely a chest lover. 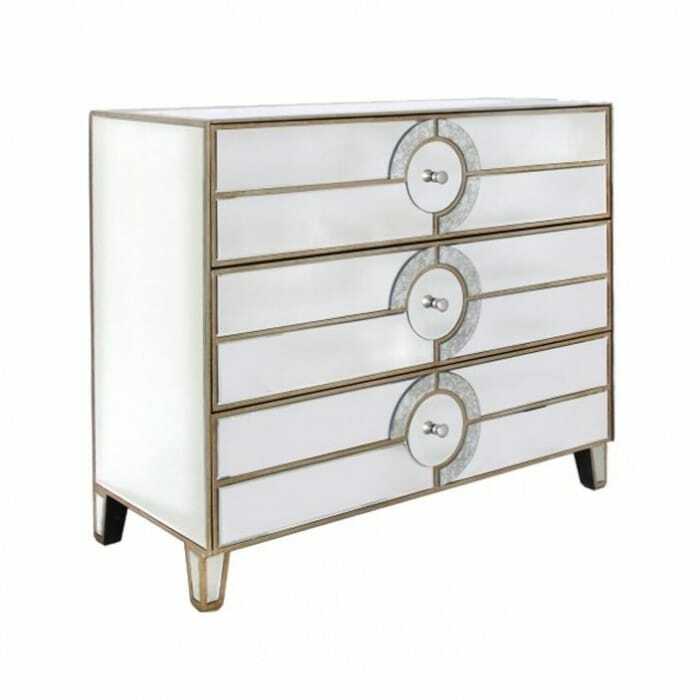 Newly designed mirrored chests not only look shiny but also gorgeous. They are found in many colors but a silvery, shiny and glowing chest is hard to ignore. 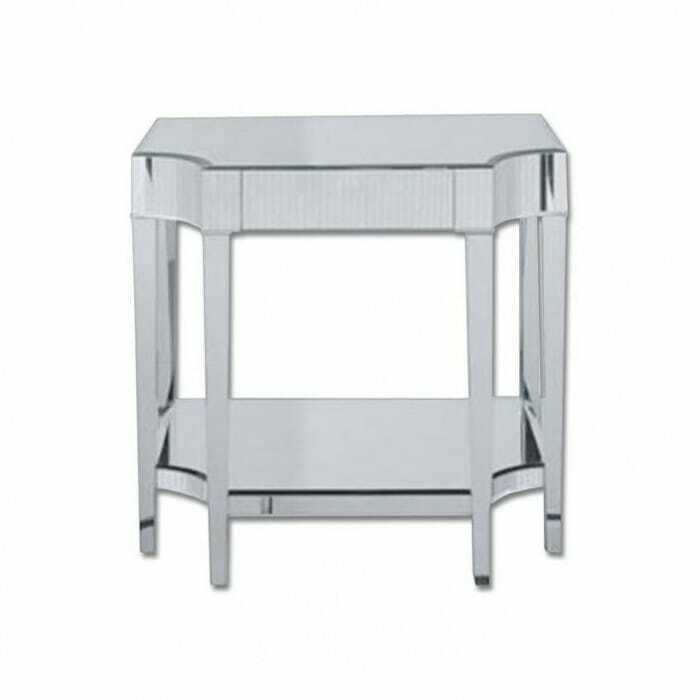 Deco furniture is also available in mirrored style. If you find it hard to let go your love for deco, don’t worry. You can have what you love and also in a more stylish way. 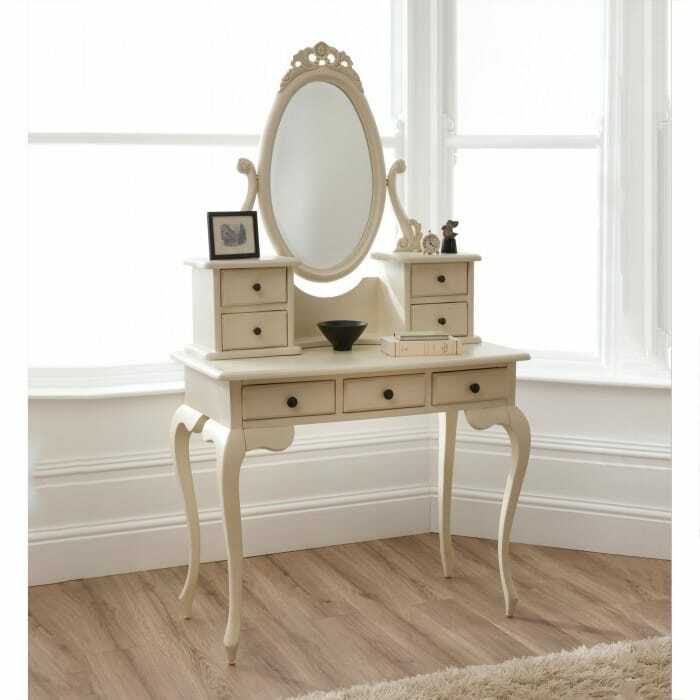 One thing that can beautify you home interior is the beauty table itself. Mirrored dressing tables have been experimented the most, and the results are stunning. Choose the one that best describes your style statement. Book lovers can now add a new touch to their home decor. A glass bookshelf will be the most inspiring addition to your interior design. 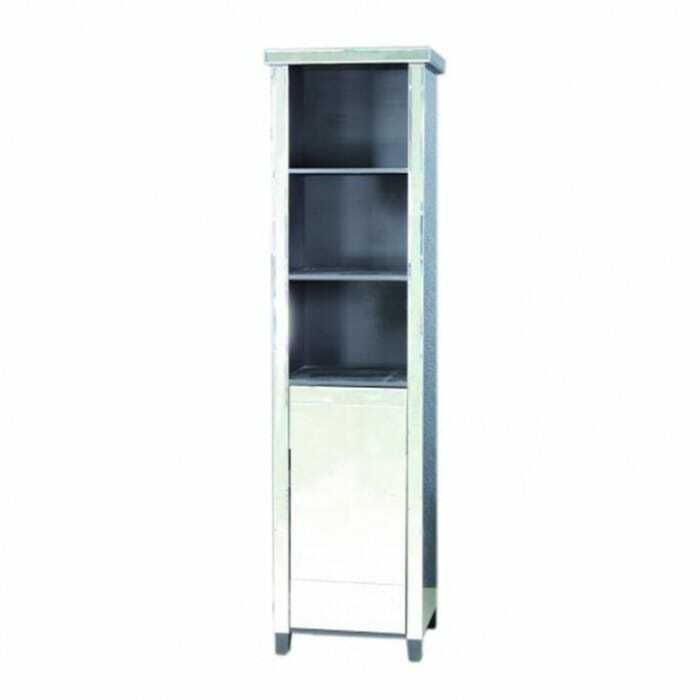 Your study will look a lot better with a mirrored bookcase. Well, that’s not all. There’s always a new idea when it comes to home decor. Nightstands, wall hangings, candle stands and other decorative furniture could ornate your home. You can’t have a glass house but you definitely can make the interior very mirror like. Some people do not want to spend a great deal on their home furniture and often lean towards the cheaper flat pack market which is fine and some like to splash out. We have seen a few companies popping up that hire out expensive furniture for events and parties which is a great idea although unfortunately not something that we ourselves do. The guys FHP Event Specialists were amongst the first we seen - actually it was the Homes Direct 365 Director who seen them whilst on holiday in Pretoria. People are always on the lookout for new items to include in their home interiors, especially if they have just moved into a new home, well ironically, the new trend is to go for old looking furniture. Shabby chic furniture is now in demand. The craze of the antique styled furniture has reached the next level. A worn out look is created and is getting very popular. Experimentation with furniture has attracted people towards new ideas and designs. The shabby chic decor originated in Great Britain in the post war era. Due to limited resources, mending and decorating the old furniture in to a new style, came into existence. 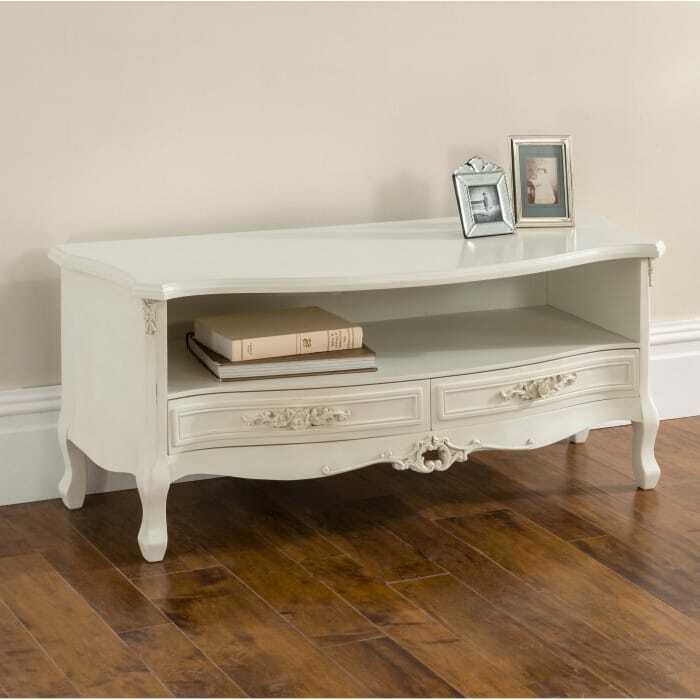 The French furniture is ideal for the shabby chic style of decorating. 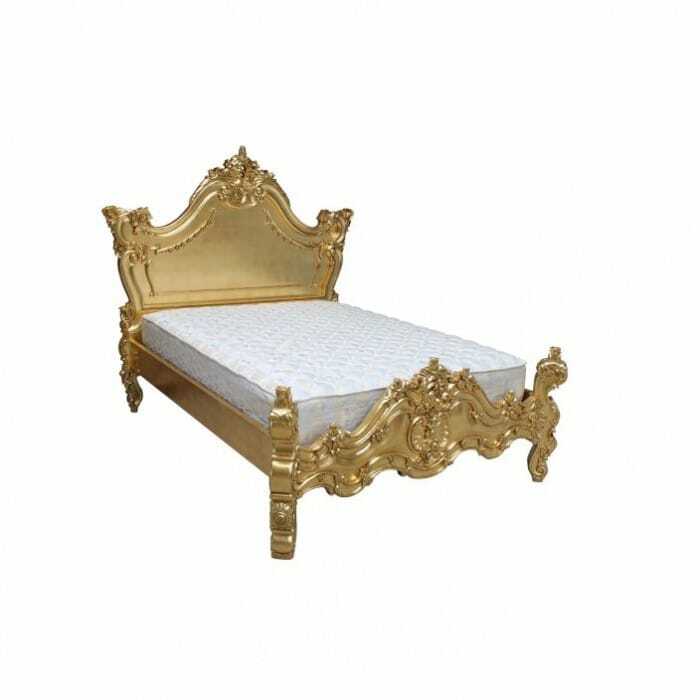 Due to its unique and royal design, it perfectly gives the old and antique look. 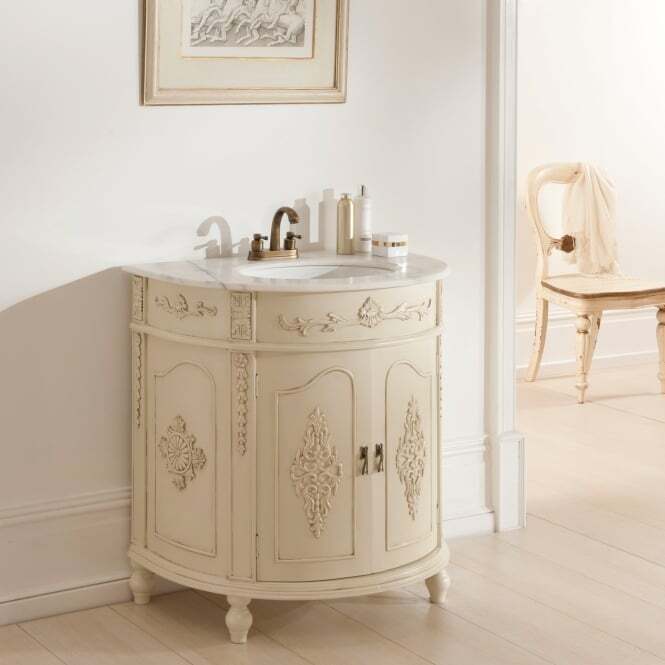 The French style is so timeless that the shabby chic effect could be achieved quite precisely. Normally they are painted in white, sometimes neutral shades like beige, pale and pink. They are purposely distressed from the edges to give a worn out look. 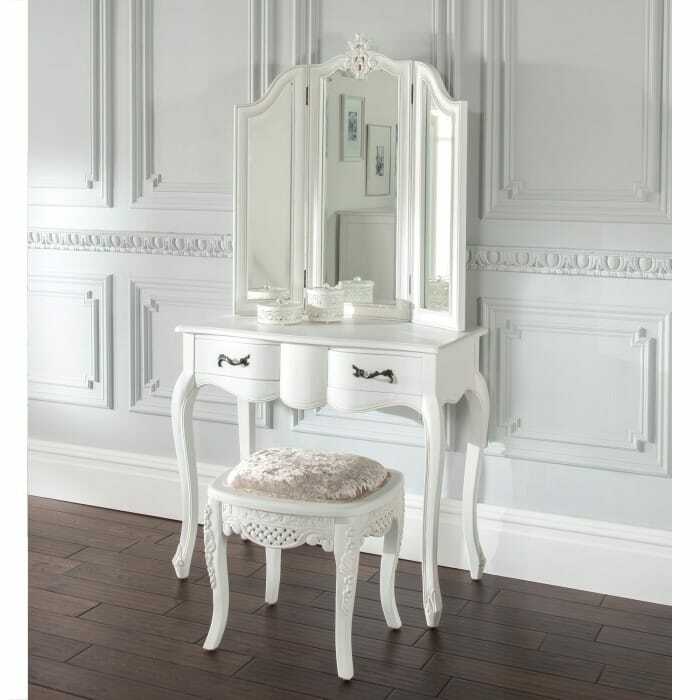 The style of the French furniture compliments the shabby chic look. 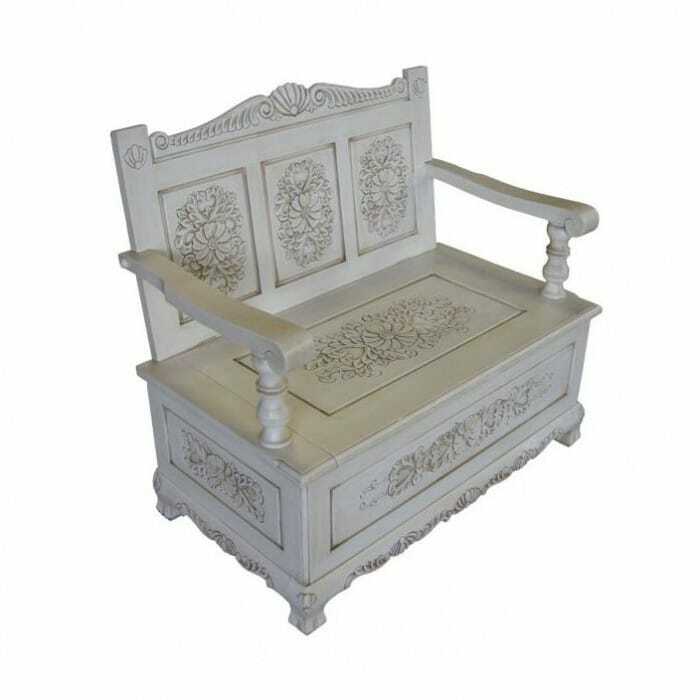 This type of furniture has floral patterns and garlands carved on them. 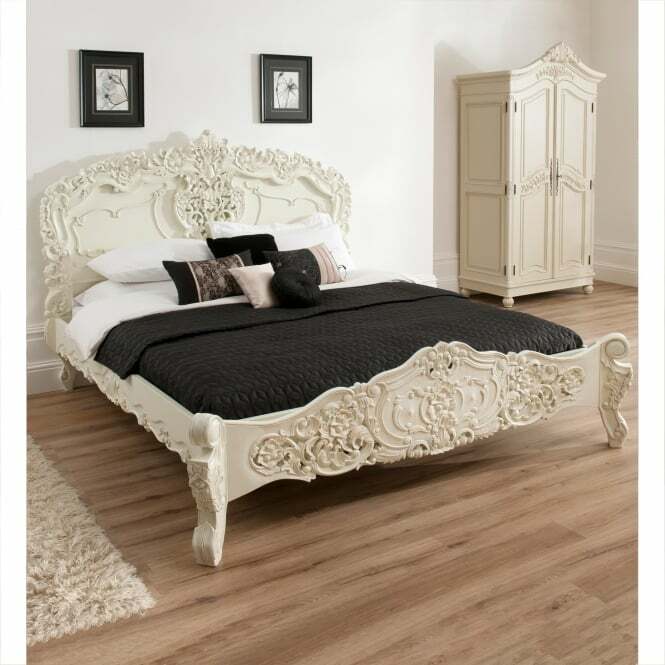 The Rosso bed of French styled furniture is very popular to enhance the shabby chic decor. Aged beds are the main ingredient to the shabby chic bedroom. Antique beds can do justice to this purpose. Their worn out look, rough corners, faded paints and pale color will depict the desired results. Believe it or not, the most desirable shabby chic look can be achieved in kitchen interiors. Cabinets with rough and ruffled paints, unpolished wooden panels, and aged furniture give the kitchen a real old look. With modern appliances and antique styled furniture, the kitchen is the ideal display area for shabby chic decor. Add a custom made table and chairs with a rough white paint in the centre of the kitchen, and the look is complete. Vintage styled bath tubs, chandeliers, worn out basins and aged mirrors can give an exclusive shabby chic look to your bathrooms. 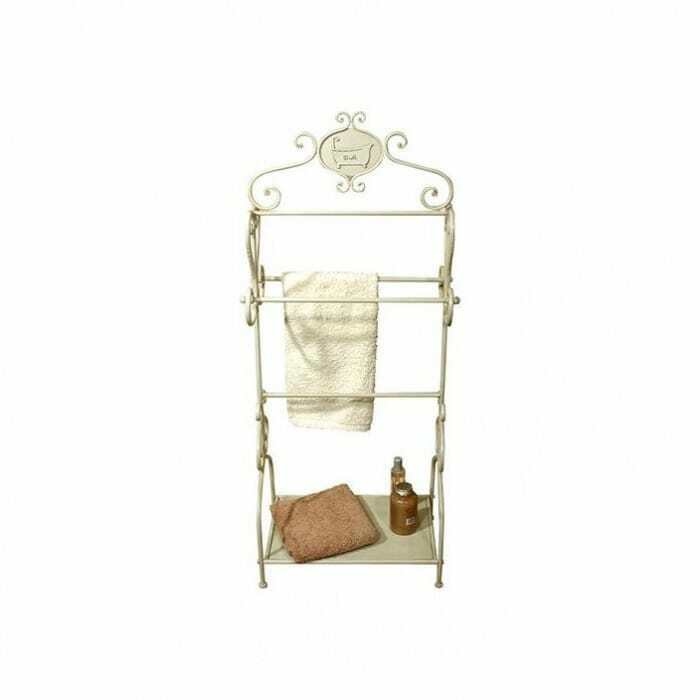 Rusty and old candle stands also add more to the antiquity of your bathrooms. A blend of modern and distressed accessories could massively change the way your bathroom looks. To give your living rooms a shabby chic look, a centre table is crucial. A distressed and worn out coffee table is a point of attention for everyone. Discoloured and old shutters could change the living rooms. 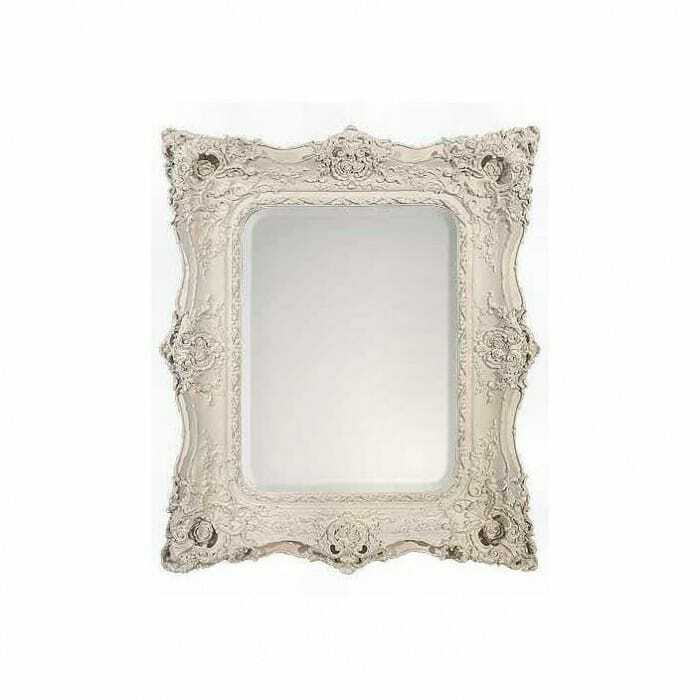 A floral framed mirror with rough edges and faded colour will also increase the shabbiness of the living room. An aged door could change the entire look of the hallway of a home. Antique white washed shelves and old wooden wall hangings with flowers carved on them, can give the home the ultimate shabby chic look. Garden decor cannot be underestimated. In fact it is the most important area of any house, if it has one. 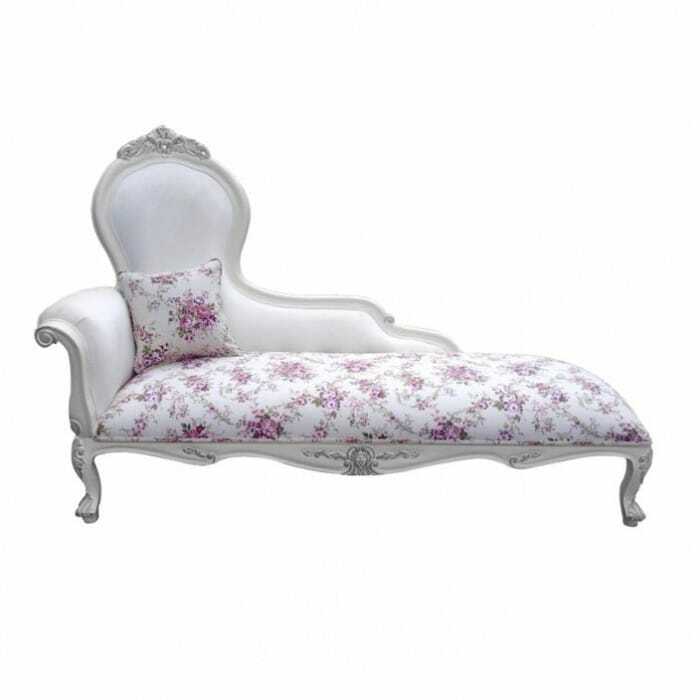 Old floral patterned benches could give the real shabby chic look to a garden. Aged chairs and distressed tables can also do the trick. For your vines and plants, you can always use wooden pillars that have rough paints on them. Even if there isn’t enough area for a garden, an old painting could be hanged on the main entrance to display the shabby chic look. A wooden worn out pot stand at the entrance will look great.